Earth Unknown — M.R. Forbes: Sci-fi/Fantasy Author. Nerd. Former Centurion Space Force Captain Nathan Stacker is a criminal. He isn’t proud of it, but the truth is there aren’t many options for men like him in a place like Proxima — humankind’s closest settlement to Earth. It’s surprisingly hard to make a clean start on a planet with a population of over one hundred million, and the only thing keeping him out of a containment center is a job as a courier for the Trust — the planet's ruthless crime syndicate. It isn’t the life he dreamed of when he entered the Space Force, but at least he has a wife who loves him. Everything changes when Nathan returns home to find her violently murdered, killed over a dangerous secret he never knew she held. 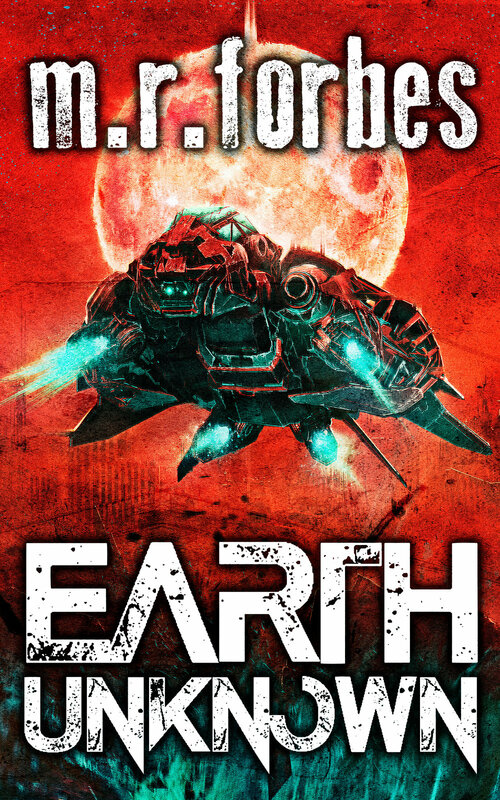 Charged with her homicide, desperate to uncover the truth and avenge her death, Nathan launches a bold escape to the only place in the universe he thinks he’ll be safe: Earth. He’s about to learn that some secrets are bigger than a planet. Some secrets are impossible to escape. And some secrets have the power to destroy more than one life and more than one world. Some secrets have the power to destroy everything.